Apple actually brought three smartphones in its locker at the launch event yesterday. But, by far the iPhone X eclipsed any other product that was introduced. That also includes the poor attention-craving two iPhone 8/ 8 Plus siblings. Arguably, they were the least interesting too. For some reason, Apple ditched the “7s” moniker altogether this year. Although it has been a long standing tradition. So are the new iPhones worthy upgrades? let’s see what they are made up of. Right off the bat, you can easily make out the similarities in design with the previous generation. Although the most remarkable change is the addition of a seven-layer glass back. While the rest of the body is aluminum. This makes them charge wirelessly. 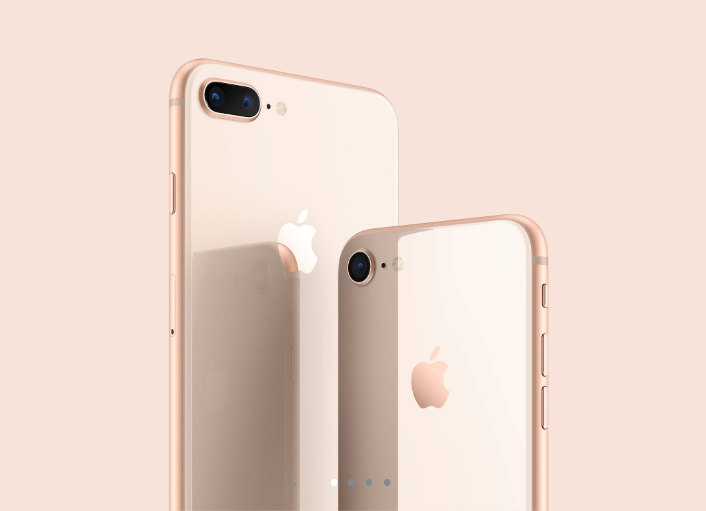 Both the two models are available in Silver, Space Gray and Gold colors. They have an IP67 rating meaning they can survive up to 1 meters under water. Both the phones have Touch IDs and the regular power button and volume rocker. The smaller iPhone 8 has a single camera lens at the rear while the big one has dual cameras. Both the display panels of the new models are exactly the same as last year but they do come with TrueTone technology, something that came with the Apple iPad Pro range. The iPhone 8 comes with a 12 MP rear sensor with f/1.8 aperture, OIS and 5x digital zoom. On the other hand, the iPhone 8 Plus has a dual camera setup that has two 12 MP sensors. The wide-angle lens has a f/1.8 aperture while the telephoto lens has a f/2.8 aperture. It supports OIS, digital zoom up to 10x along with optical zoom. The iPhone 8 Plus comes with a new Portrait Lighting Mode that gives users a lot of control over lighting conditions of a shot. Both the devices have 4K video recording and they also offer 1080p slo-mo video support at either 120fps or 240fps. The front facing camera is based on a 7 MP sensor with f/2.2 aperture, Retina Flash, and 1080p video recording. Both the new twins iPhones come with the same A11 Bionic chip that has a Neural engine for AR and 3D motion sense. It is the same chip that is in the iPhone X. Both the handsets are the first ever iPhones to offer fast-charging which promises 50% charge in 30 minutes. The iPhone 8 and iPhone 8 Plus will be up for pre-orders in 25 countries including the US, the UK, and China on September 15. Shipping for the same is slated for September 22. India comes in the second phase of the release which is scheduled for September 29. To check out pricings of the iPhone X, click here.